• Unijos Application / Registration Form. Using this platform, the Dailyschoolnews Nigeria™ wishes to inform the general public, that the University of Jos (UNIJOS) is inviting all prospective candidates to participate in the Computer Based Post-UTME Screening Exercise for the 2019/2020 Academic Session. 1. 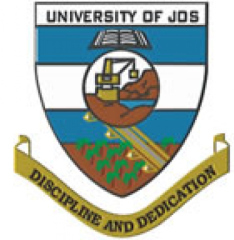 All applying candidates must have made the University of Jos their choice and scored 180 marks and above in the 2019 JAMB UTME. Please take note that the school management has open the registration website, starting from today, for online application. To commence your registration, each candidate is required to pay a non-refundable fee of Two Thousand Naira (N2,000.00) only for the screening and for accessing their results. Please take note that the payment shall be made online at the University of Jos website by using ATM (You can pay either through Verve and MasterCard) cards of any bank which is enabled for web-based online payment. Thereafter, a receipt number and a confirmation order number will be issued for online registration. When you have successfully paid the registration fee, proceed and log on to the school website www.unijos.edu.ng for the registration procedures and proceed with registration. Please take note that the registration for the Post UTME screening exercise is only concluded when the scheduling of the venue, date and time of the test is automatically generated for each candidate. it is important that each candidates should print out the schedule slip which must be brought along for the screening exercise. Candidates are to come to the screening exercise venue with copies of their JAMB result slip and the schedule slip only. It is required that each candidate shall on registration, be scheduled for the screening test, which will commence from (DATE Yet to be announced). Examination Venue: Multipurpose Auditorium, Bauchi Road Campus, University of Jos, Jos. Examination Time: The computer based screening shall commence at 8:00am daily. All candidates are required and expected to be at their screening centre, one hour before the scheduled time allotted to them, this is to help both candidates and the school arrange and sort things out. It is very important that every candidate is present, because the school management said any candidate who fails to come for the PUTME screening test will automatically forfeit the chance of being considered for admission. Please note that withholding information or provision of wrong information will lead to instant disqualification of any candidate who is caught doing this, refrain from any action that might implicate you. The above mentioned items are not allowed inside the screening hall. Friends, Guardians, Parents, including security guards and anauthorized persons are not allowed within the screening venue during the Post-UTME screening. The University of Jos (unijos) Management does not, in any way, supports any form of examination malpractice. Offenders shall be handed over to the law enforcement agents for prosecution in addition to being disqualified from been admitted into the school for the 2019/2020 academic session. However, you can reapply for admission into the school for the 2020/2021 academic session, so don’t even think of participating in any form of examination malpractise.